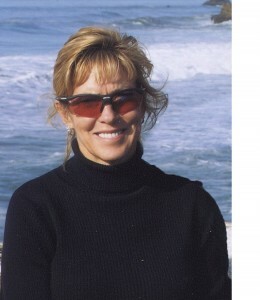 Sherry has well over two and a half decades of experience in the health, wellness and endurance sports coaching industry. She has been a professional coach for over fifteen years, a nationally certified Personal Trainer for over two decades and has more than eighteen years of competitive endurance sports experience. Sherry has competed in hundreds of Triathlons, Duathlons and road races of all distances across the U.S. and Europe and has represented the United States on nine world teams. She is a 14x Team USA qualifier and a 4x Boston marathon qualified runner. Sherry has won numerous overall placements, age group wins and podium finishes. She also has multiple marathon overall wins and category placements. During her competitive career, Sherry has had the honor of being named USA Triathlon Athlete of the Year; USA Triathlon All-American, USA Triathlon All-American Honorable Mention and Inside Triathlon magazine All-American. Sherry brings a wealth of personal competitive experience to her coaching and has worked with hundreds of athletes over her coaching career. She has coached top amateur and age group competitors for Triathlon and Duathlon ranging from Sprint distance to Ironman and Half Ironman distance, Road racing events of all distances, Road Cycling and Mountain Biking. Her athletes have been credited with numerous overall race wins and podium finishes. In addition to coaching numerous individual athletes, she also currently coaches and designs team training plans for Endurance House Atlanta focusing on Ironman, Half Ironman, and Olympic Distance Triathlon as well as Atlanta Half Marathon team. Sherry earned her B.S. degree from Radford University and post-graduate degree from Georgetown University. Sherry has numerous coaching licenses and certifications across a broad scope of disciplines as noted in her credentials. In addition, she has over two decades of experience as a nationally certified Personal Trainer. Over the last sixteen years, she has contributed numerous training, health and wellness articles published in a variety of publications and magazines including Runner’s World, Atlanta Sports & Fitness and North Fulton Living.